backed by one year limited warranty. Buying, selling, and trading watches for over 25 years, we have amassed quite a treasure chest! Our chest is overflowing with certified preowned watches from top Swiss, German or Japanese watch brands like Patek Phillipe, Rolex, Vacheron Constantin, Audemars Piguet, Baume & Mercier, Tag Heuer, Panerai, Cartier, Chopard, Ebel, Bertolucci, Zenith, Ulysse Nardin, IWC, Girard-Perregaux, Breitling, Omega, Seiko, Citizen and many others! Watches are added to our collections daily, so visit them at our store or check out "New Arrivals" page often! Browse through our Women's wrist watches, Men's wrist watches, and a Pocket watches Collections. Click on individual watches for an enlarged pictures and the full story of each watch. These treasures are priced to move fast, so don't delay, act quickly, or you'd be sorry! 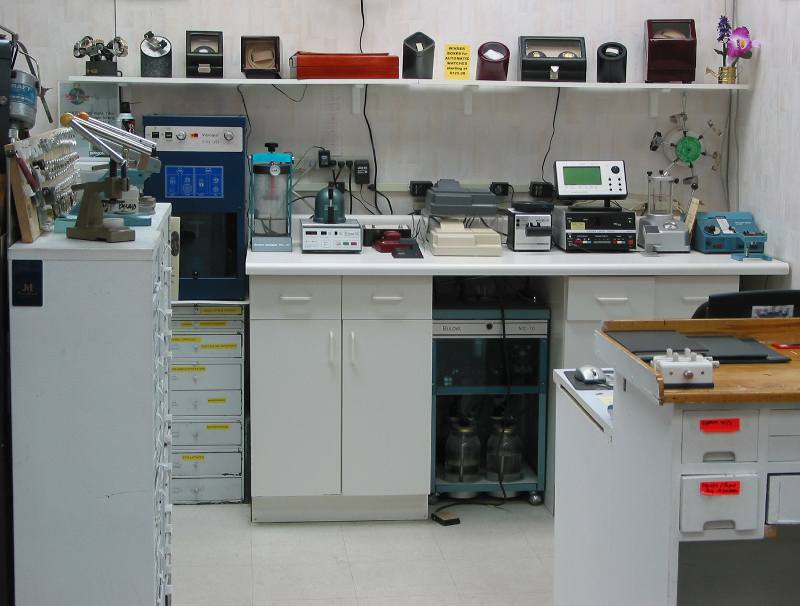 Most of our treasured timepieces have been serviced (unless they are consigned) by Certified Master Watchmakers at our State-of-the-art repair facility. Certified pre-owned pieces (unless consigned) are backed by a one-year Right Time limited warranty.. If you are looking to sell or trade one of your timepieces, feel free to consult our referense page of recently sold preowned timepieces. Look up similar models to get a feel of what your watch might be worth today. It�s a great tool!